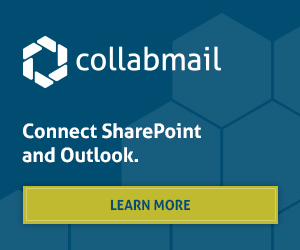 Collabware is proud to announce our solution lineup has expanded to integrate and automate SAP within your SharePoint records management strategy. Whether it's contracts, orders, accounting or other business documents, get up and running quickly with pre-configured templates and achieve ongoing seamless 2-way document flow in SAP and SharePoint or Office 365. Learn about all the new features here. Register now to join our next live demo to see the SAP and SharePoint integration in action, including a walk through of common accounts payable scenarios. WEDNESDAY, SEPTEMBER 12 @ 10am Pacific.